Carl Schmidt from Fisherman's Landing checked in with an audio report for the Pac Queen and the Pac Dawn. 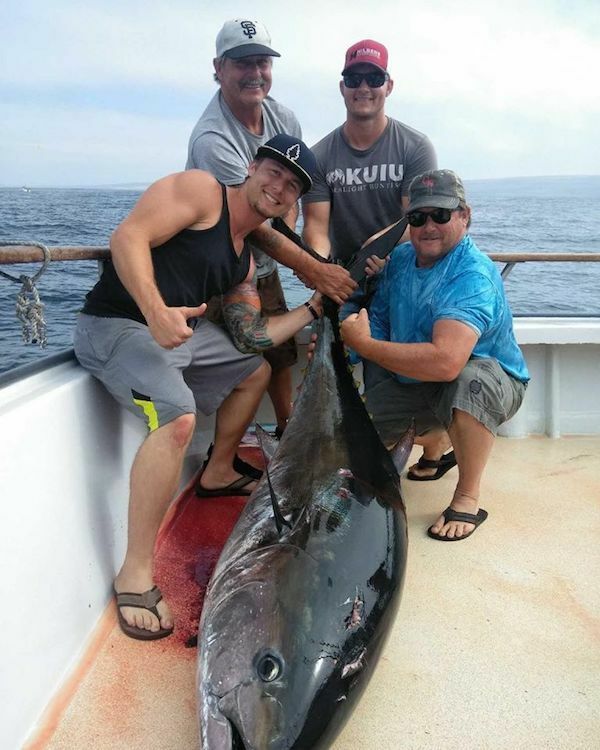 Pacific Queen- 37 Bluefin Tuna onboard with 4-5 going as of the report. 1-110 lbs and most at 30-70 lb range. Pacific Dawn- on a 1.5 day trip has 26 Bluefin Tuna onboard with 1-120 lbs most in the 30-70 lb range also. Most of these fish being caught on live bait. Condor is going out tonight on a 1.5 day trip with about 8 spots left. Call or check us out online if you want to get out tonight fishing.